Jay Cresswell, writing in the October 2011 edition of The Hillyarder, had this to say of Tarlair: “It had been even longer ... more than 40 years ... since I first set foot on the 9-ton Hillyard, Tarlair, in Conwy, North Wales as a teenager. 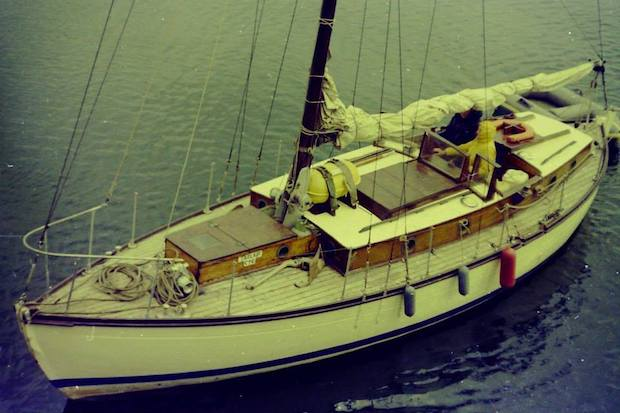 This pre-war build was a fantastic old lady ... a mother hen to a bunch of kids who were mad on sailing, and yet she could lift her skirts and fairly shift when she had a mind to on cruises to the West Country, to France and several times to my beloved Scottish West Coast over a number of years. Even after buying my first serious boat in my early 20s, the 35ft Lancashire nobby (otherwise known as a Morecambe Bay prawner) Venture, I continued to have the occasional adventure in Tarlair for some years. And it is Tarlair, plus other Conwy based Hillyards of those times, like the 12-ton prewar Lady Rita and post-war Khariessa and Pelindaba, that ever so subtly pushed me towards Sequoiah decades later”.